I love costume or themed parties. One summer, I sported an afro at a family reunion’s 70s themed party. Last month, I dolled up for a Harlem Nights party in Chicago. In a few days, I’m going to don a gray wig and slip my feet into a pair of men’s Stacy Adams black and white shoes as the incomparable Mrs. Beatrice Tilley Beacon aka Grandma BB. My getup is for the pajama party at a Christian book lovers retreat. Grandma BB is one of my beloved characters from the Jamieson Legacy series. To understand this seventy-something meddling neighborhood “always on the watch” captain, you’ll have to read about her antics and how she came about adding Stacy Adams shoes to her wardrobe. I remember when I attended my first pj party at a conference. I put curlers in my hair, and bought a thick cheetah colored robe, which I still have today, and dabbed cold cream on my face. I was ready for a memorable night. Years ago, I won a trip to Maui. My husband and I dressed up as my favorite super heroes—superman and superwoman for a costume party. It just so happened, we over slept in our hotel room due to the time zone difference. Our late appearance couldn’t have been timed better, because cameras flashed when the doors opened, and there stood Superman and Superwoman. The next missed event was to dress in the decade I was born. Okay, back to Google for the fashion trends in the 19—never mind the year. 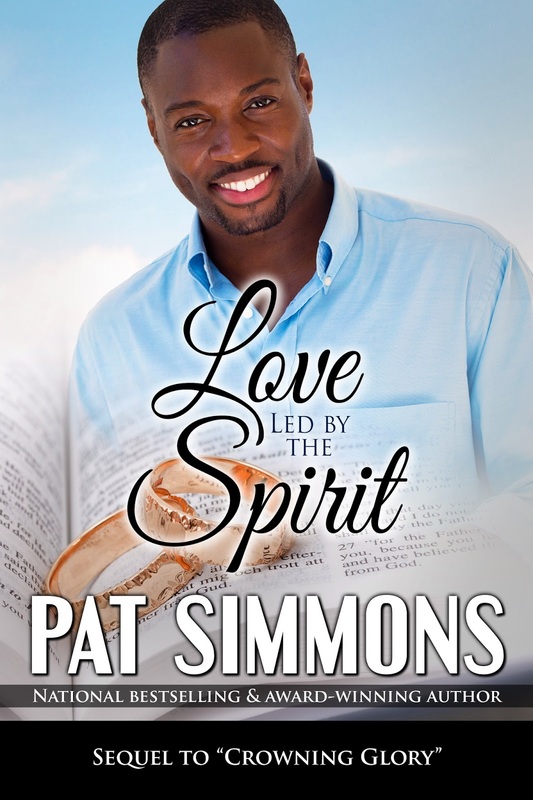 Pat is the multi-published author of more than thirty Christian titles, and is a three-time recipient of the Emma Rodgers Award for Best Inspirational Romance. She has been a featured speaker and workshop presenter at various venues across the country. Pat currently oversees the media publicity for the annual RT Booklovers Conventions. She has a B.S. in mass communications from Emerson College in Boston, Massachusetts. Her newest release is Love Led By the Spirit. Minister Rossi Tolliver is ready to settle down. Besides the outward attraction, he desires a woman who is sweet, humble, and loves church folks. Sounds simple enough on paper, but when he gets off his knees, praying for that special someone to come into his life, God opens his eyes to the woman who has been there all along. There’s a slight problem. Jesetta “Jet” Hutchens lives by her own set of rules. Love is the farthest thing from her mind. But Rossi, the man and the minister, is hard to resist. Is Jet ready to allow the Holy Spirit to lead her to love? What fun. I haven't dressed up in a costume in years. I haven't dressed up either! Apparently, I'm stodgy and Pat is happening! What a fun post! We used to have a neighborhood costume party when we lived in GA. It was so much fun to dress up in crazy costumes. We haven't done it in years. This year my older granddaughter has a Queen of Hearts costume, and she wants me to be the White Rabbit. So I costume is in my future. Dressing up in costume is always a fun event. For my annual piano recitals years ago, my students dressed in costumes to coincide with the piano piece they were performing.